Once upon a time, London stood head and shoulders above all other UK locations as an investment hotspot. Now, however, while London is still a very popular investment destination, other parts of the UK are enticing investors away from the capital. In 2018, for example, the north-west of England received a total of £3.17bn in investment funds, the highest level in over a decade. It may not be particularly surprising the UK-domestic investors are taking a great interest in the North West. After all, they are perfectly positioned to see its economic transformation first hand. What may, however, come as a surprise is that the redevelopment of the North West has also been noted by international investors, especially investors from China and India with which the North West has close ties through immigration, commerce and transport connections via its local airports. While investment from North America has dropped somewhat, Liverpool has proven itself the exception to this rule and has actually witnessed increased activity from U.S. investors. Although the gap between international and UK-domestic investors is closing, UK-based investors are still in the lead when it comes to investment funds, although in this case the term "investment" should almost invariably be taken to mean "property investment". Looked at from this perspective, the level of activity in the North West is easily explained. Regardless of whether you are interested in residential or commercial property or what specific sub-market you are targeting, the vast majority of property investors are mainly interested in yield rather than capital growth (there are a few exceptions to this such as property developers who build or renovate with the intention of selling on, but for the most part it is true). The North West is recognised as having excellent rental yields due to its combination of affordable property prices and a large population of young adults (people in their late teens and twenties) who view renting as a convenient lifestyle choice, which frees them from the responsibilities of homeownership. 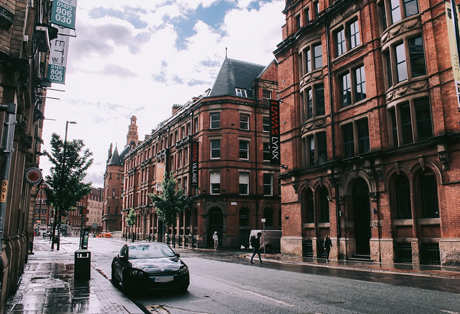 This is very unlikely to change any time soon due to the fact that the North West contains a number of excellent universities, which means that there is always a requirement for student accommodation, together with the fact that many graduates choose to stay in the area to begin their careers. While much of the buzz around the North West relates to its outstanding performance as a residential buy-to-let destination, investors wishing to diversify their portfolio into commercial property will be pleased to know that there are plenty of opportunities for them too. Possibly the most obvious way to enter this niche would be via purpose-built student accommodation for which there is currently high demand. If, however, this is not for you, then there are also lots of options in the “standard” commercial-property market.